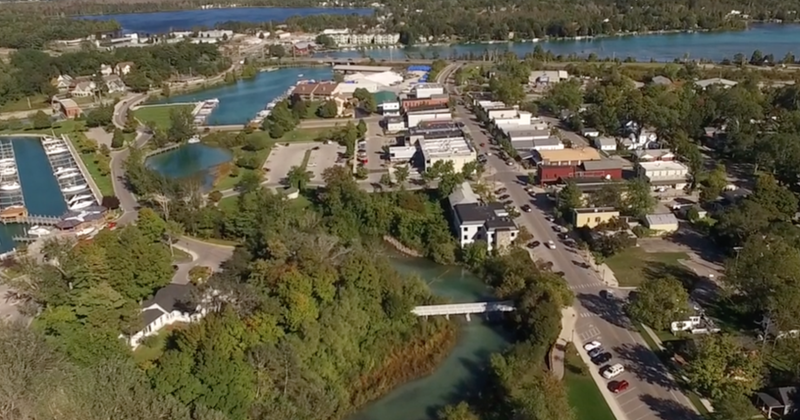 Nestled along Lake Michigan’s shoreline and the Chain of Lakes, Antrim County is made up of a half-dozen small villages including Elk Rapids, Alden, Bellaire, Central Lake, Ellsworth and Mancelona along with several communities such as Torch Lake. The stunning geographic location offers beautiful views, some of the state’s finest fishing, and renowned vacation lakes. With so much water, there are plenty of outdoor recreation opportunities in every season. Many of the jobs in this resort area fall into the service category, with 54 percent, but other sectors include manufacturing, retail, construction and agriculture. There are also a variety of schools, with seven school districts, each offering a distinct local identity. Check out this beautiful area for yourself in this MyNorth video by MyNorth Media’s videographer Kris Riley!